Norway-based Østensjø Rederi has chosen a Saab Seaeye Cougar XT underwater robotic vehicle as a deployable resource aboard their multi-purpose support vessel ‘Edda Fonn’. 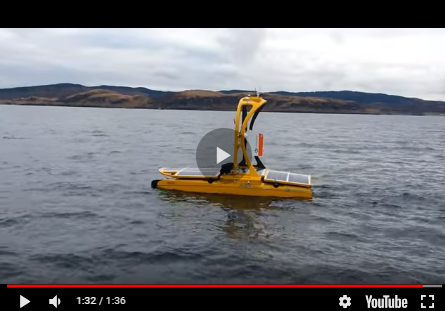 The company is contracted to deliver the vessel to the New Zealand Ministry of Defence in 2019 with an integrated ROV and dive system amongst its upgrades. The ship will subsequently be used by the Royal New Zealand Navy. Østensjø Rederi chose the Cougar over other robotic vehicles after hearing ‘very good feedback’ from end users around the world. The Cougar also had the best overall specification and is backed by Saab Seaeye’s 30-year reputation. Along with the LARS, the complete system includes a standard Cougar XT with minor modifications to include three cameras and a sonar system, together with its tether management system and three individual tool skids with manipulators, cutters and water jetting system. The 2,000m rated Cougar XT’s manoeuvrability comes from its six thrusters, each interfaced with a control system and solid-state gyro for enhanced azimuth stability and control. Its compact 1.5m size footprint makes it easy to mobilize, yet despite its small size, it has the power to handle a wide range of heavy tooling.